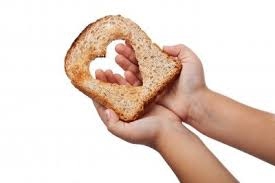 Money...Money…Money…from bread to bed, man’s only means of living. The term has become the acronym for life. Money, a medium of exchange, which everyone is willing to accept or given in exchange for something else. This is a convenient system than a direct exchange of work for groceries, clothes, and so on. 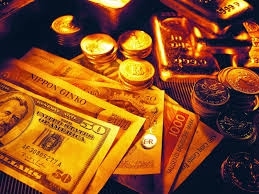 Civilized nations use coins, and paper as money, the value of which is guaranteed by a Bank or Government. But, where from the Government get it, who will get for the Government, who will store it and who will pay it and how one will pay it. are some of the interesting things associated with money. It will not be an exaggeration to say that there is no country in the world which is not touched by the British. Their desire to see an empire without sun set may perhaps be an unfulfilled dream but they left indelible impressions of their identity on social, cultural, administrative aspects of a country they have ruled. In this context, the term ‘tithe’ which they introduced in the Land Revenue Administration for collection of revenue , and certain terms associated with money are quite interesting to know about. The ‘Tithe’ was actually meant for ‘ an offering in token of love’. But, gradually it’s meaning, with the advancement of complexities in social Administration, has changed completely. Tithes were a tenth part of the crops and livestock raised in a parish yearly. The rector had the right to take every tenth sheaf of corn from a field, and store it in his tithe barn. This way of collecting tithe was done away with, in 1836 by the Tithe Act, by which a landlord, in stead of paying in actual produce should pay a sum called tithe rent-charge varying from year to year with the price of corn. Tithe was instituted for the support of the Clergy. At first they were voluntary, but later on they were made compulsory by law. When Henry VIII, disestablished monasteries , many of the tithes formerly paid to them were seized and handed over to laymen. The Bank of England which was found in 1694. It was the only bank which was allowed to do business in England. It conducted its activities as a profit making concern for its proprietors. It acts, however, managing the National Debt, paying interest on it, issuing loans and so on. Ever since, 1780 when there was a danger of the Bank being attacked during the Gordon Riots, it has been furnished every night with a military guard, supplied by the battalion of Foot Guards on duty. Coins which have a greater value as currency than that of a metal in them. All our silver and bronze coins are token money. Twenty shillings are worth a sovereign as coins, but the gold in a sovereign is worth the silver in many more than twenty shillings. 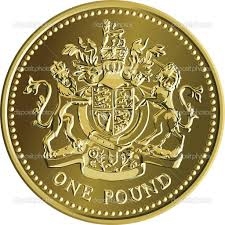 The letters £, s and d are used as symbols for pound, shilling and pence. These are the first letters of the Roman words, Libra (pound), solidi (shilling), denartii (pence). Only this much! Wait! There are some interesting things to know about. During the time of William the Conqueror the money standard of value was a pound weight of almost pure silver or pound sterling. This was divided into 240 pence. When, in 1816 when the silver pound was abolished and the gold sovereign became the standard of value, the name of pound was transferred to the sovereign. The word derived from the Italian florina, meaning "a little flower" and was first applied to a very beautiful Florentine coin of the twelfth century, stamped with the city’s emblem a lily. 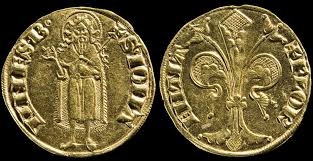 The name spread to coins of other countries, including England, where a gold florin was minted in the reign of Edward the Third. This is a shilling piece (Florin) was issued in 1849. Have you ever noticed the words "Revenue" and "Postage" on postage stamps? Why they are so and what they indicate? 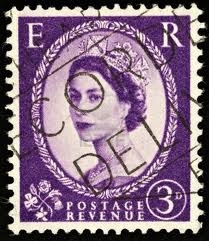 The words "Revenue" and "Postage" on postage stamp, show that , they may legally be used either for paying postage on letters or parcels, or for revenue purposes, such as stamping a receipt or agreement. This provision does away with the need for issuing two separate series of stamps. All these terms associated with money only remind us,how important money is for a man. It is the money which can purchase love, affection, of course not life. But, one should handle it carefully as long as one lives, just for peaceful and happy living. Server responsed at: 04/20/2019 10:16 p.m.